Is your visual identity ready for the digital age? Are you moving from print to online and on site communications? Is your visual language sending the right messages? How consistent is your visual communication? Traditional visual identities include information on logo, use of colors, typography and so on. To a certain extent it goes further into tone of voice and use of images. How does it translate into the way we communicate today? What about the digital space? 77% of us prefer a combination of content delivered as images, videos or interactive content. 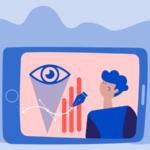 It’s no surprise that increasingly organisations are choosing different channels to market and communicate their messages. They use infographics, produce interactive publications, engage in social media, deliver online campaigns and prioritise email marketing. While this is definitely the right direction to go, the visual identity – as we all know – does not always follow a similar path. What we end up with is a visual language, which tells the wrong story and is not representative of who you are. The objective should be to create a consistent visual language across everything you release and whatever the channel you use. It also must be YOU – your organisation and what it stands for. By 2018, more than 84% of communication will be visual. Visual content is here to stay. Slowly but surely we are saying goodbye to hard-to-read documents. It makes sense to spend extra time and resources to create a coherent and professional visual image. #1. Build up a professional visual identity first. The good news is that you do not need to reinvent the wheel. What you need is a good foundation. Your foundation is your visual identity guidelines. Except if you are purposely going for a refresh of your brand or a completely new visual identity, all you have to do is build on what you have. Familiar visual identities used daily by staff, members and partners – will make it is easy to move it to the next level and implement extra information. #2. Have a look at what was delivered last year and evaluate your plans for this year. The only way to create a coherent and consistent visual identity is by having an overview of where you stand. What communications & marketing activities were launched last year? Make a list with the online and on site activities and initiatives you delivered recently and the ones planned for this year. Keep things simple and transparent. Spend some time. 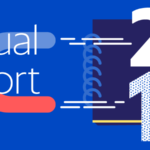 In some cases, the answer is very simple, like planning to create an interactive version of your annual report. In other cases you might not have all the answers. Consider the help of a professional if you plan a whole visual campaign involving interactive and onsite support. It might raise extra questions, not only answers – which you have not thought about. Also, it is always refreshing to involve others to provide extra feedback. Your list could look like this. 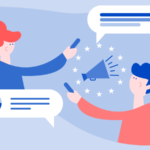 This year we want to deliver: focused EU campaign on (topic), super cool website on (your topic), video footage with an MEP, an A4 infographic on (your topic), an EU project interactive website…. The objective of this list is to give you a good idea of areas for which you need an updated visual identity. It will help you evaluate what type of visuals you need for each of these points. Also, it will provide a general overview on what you can use and re-use across multiple channels. In the example above, it is obvious that you might need clear guidelines on infographics. If you plan a video footage this year, your updated visual identity should include a few guidelines, as well. However, the infographic content can be used in your twitter stream. #3. Be cautious with free resources. If it looks too good to be true, it is probably not true. #1. Free resources are free for everyone. Free graphics are used as a black canvas and not as final products. If you do not want to look like everyone else (that is faceless) please think twice if it’s worth doing it in the first place. One of the main reasons we might choose free graphics is financial. Good quality graphics take time and skills to create and are definitely not free. They bring your organization value. There is no free resource in the world that will ever be able to do that. While these graphics are available at a click of a button, reversing the damage to your brand will be time consuming. Visual designers will help create graphics that can be used across various applications, while remaining consistent to you visual branding and coherent with you messages. This will not only keep your budget in check but also maintain a professional image. #2. Copyright can be nasty. There is no free lunch, so double check the small print. There is also no certainty that files freely available today will not have limited use or be partially copyrighted tomorrow. #3. Free is never better. This one is quite straightforward but it is worth repeating: you always get what you paid for. It might work one time but it does not bring you any favours in the long run. It does not bring any value to your image either. #4. Be specific on what makes your visual communications. The most important aspect to remember is that visual identities operate like living organisms. Any changes to the points on your lists we previously talked about, means an extra layer of information to the new updated visual identity. So then, what should you include first? Most visual identities consist of a primary and secondary typography. Your new updated visual identity should include information and guidance on font pairings and what has to be used on print and on web. Very few visual identities provide info on colours and typography combinations to be used for charts & graphs. Guidelines on how your charts & graphs should look will make your data stand out whatever you use them for. Just remember the last time you came across copy/pasted pies & bar charts from Excel into content and how unprofessional that looked! At the other extreme, animated graphs & charts used in your presentation provide powerful messages and help the speaker with his/her story. Professional infographic design is based on an original concept and consistent style. Your new visual identity could include information on the style of icons and illustrations to use. Once you defined the social media that brings the highest rate of engagement you can turn your attention to the visuals. The most important is to remember that your visuals in social media are your messages and not supporting elements. An updated visual identity with a few clear guidelines will help everyone involved in your organisation, from staff to members and partners. It can be as specific as you want it to be. Keeping your budget under control: the use of various visuals across your content is cost-effective. Visuals are your content. Offering better partnerships to your suppliers. Nobody likes picking up the pieces. Clear guidelines are the kick-off for all your communication projects. Have you updated your visual identity recently? Let us know in the comments below.